Last Sunday, the long awaited news of Osama bin Laden’s death was received with much joy here in America. That’s not because members of our Follow Friday recommendation killed another human being. It’s because it finally brought to justice the man responsible for so much pain and heartache in this country for the past 10 years. 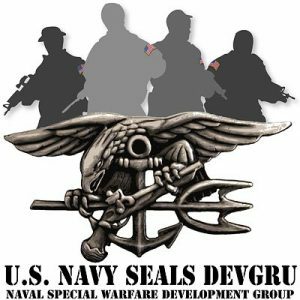 Members of Team Six of the US Navy SEALs stormed a compound in Abbotabad, Pakistan and killed the face of evil for many Americans. We are recommending you follow the SEALs Twitter account because even though they don’t want congratulations and adoration, they surely deserve both. These men risk their lives every day to protect not just our rights as Americans, but our way of life. They do it without thanks and often in the face of gunfire overseas. These men will never claim personal glory because of this mission, but they certainly deserve it. A follow from all of us grants a small amount of recognition to this elite group of soldiers who made America a little bit safer last weekend. Hooyah.